Flash fiction is the term used to describe very short stories of anything from a few words up to 1,000 words. Other terms commonly used are sudden fiction and microfiction. I published my first collection of flash fiction, Quick Change, in 2014 to mark National Flash Fiction Day, which takes place on 21st June – the shortest night in the northern hemisphere and the shortest day south of the equator. Originally issued as an ebook, the excellent reviews persuaded me to turn it into a paperback, which I did in February 2015, featuring a gorgeous new cover (pictured right). Quick Change comprises 20 very short stories ranging from 100 to 1000 words in length. As its title suggests, it turns the spotlight on moments of change, whether physical, emotional, or psychological. To add shape and order to the collection, the stories are arranged in chronological order by age of a key character in each story, from new-born baby to the newly deceased. You can order Quick Change from all good bookshops, on the high street and online. From now on, I’ll be publishing a new flash fiction collection for every National Flash Fiction Day. My flash fiction stories have also been featured in National Flash Fiction Day’s online journal, Flash Flood, in 2013 and 2014. 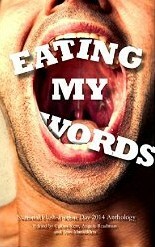 Another of my stories was selected for the event’s prestigious 2014 anthology, Eating My Words, now available in print and as an ebook. 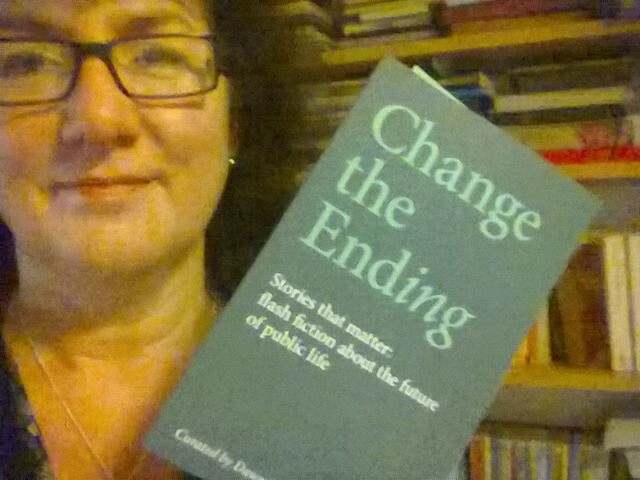 I was also invited to contribute a story to Change The Ending, an interesting anthology aimed at promoting positive thinking around local government. My published story, Upwardly Mobile, is a celebration of mobile libraries. I welcome the opportunity to be involved in other flash fiction and short story anthologies and events, and I’m a supporter and co-judge (with organiser John Holland) of Stroud Short Stories, which takes place near me twice a year. You can buy the ebook of Quick Change via all good ebook retailers, and the paperback will be launched in January 2015. Just found your website. Really cool! I’ll be back. Hello Elizabeth, lovely to see you here! Really enjoyed being a beta reader for this book: haven’t tried writing it but am challenged to give it a try. 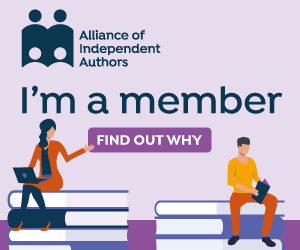 Clare, I am so grateful to you and all the others who beta read it for me – it is a much better book than it would have been without your input! And do have a stab at flash – when so much else in the world of publishing takes so long to come to fruition, it’s really gratifying to be able to complete a stand-alone story so quickly (though the polishing takes time). Flash stories make great blog posts too! I’m really intrigued by what you have to say about Flash Fiction. Hadn’t given it more than a passing glance, but thanks to your description of it I intend taking a much more closer look. Ha ha ha – i’m glad you didn’t resist!